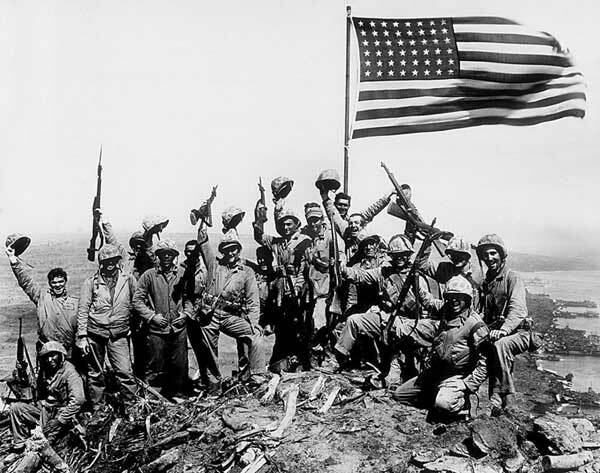 The story that is before the picture set talks about the controversy surrounding the historic “Flag Raising” picture (shown on left) which was taken atop Mt. Suribachi, Iwo Jima, on Feb. 23, 1945. 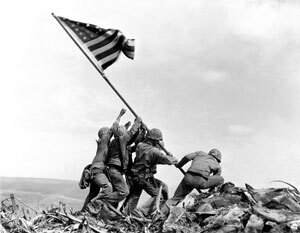 The photographer, Joe Rosenthal, won a Pulitzer Prize for the picture.